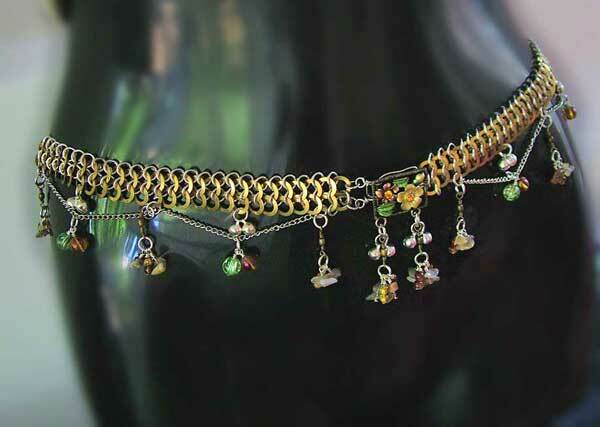 Chiming Chain Maille belt - a necessary part of one's fashion accessories especially if one loves bells and chimes.This is my first attempt at making a belly-dancer chain maille belt. 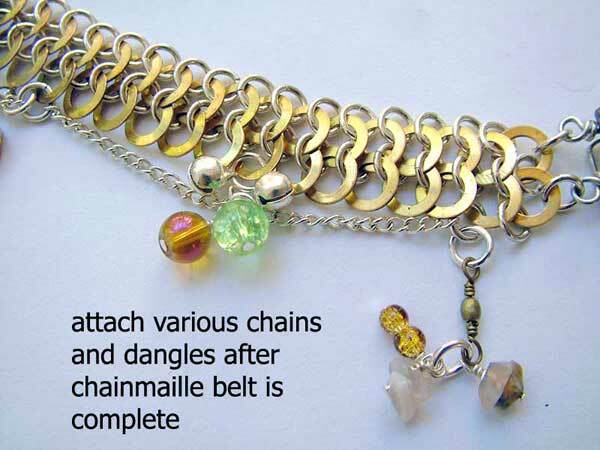 Chain maille is interchangeably spelt as "chainmaille", "chainmail", or "chain mail"
The chain maille incorporates lots of brass washers, and lots of musical bells. Made for my very best friend - and hoping she will like it. 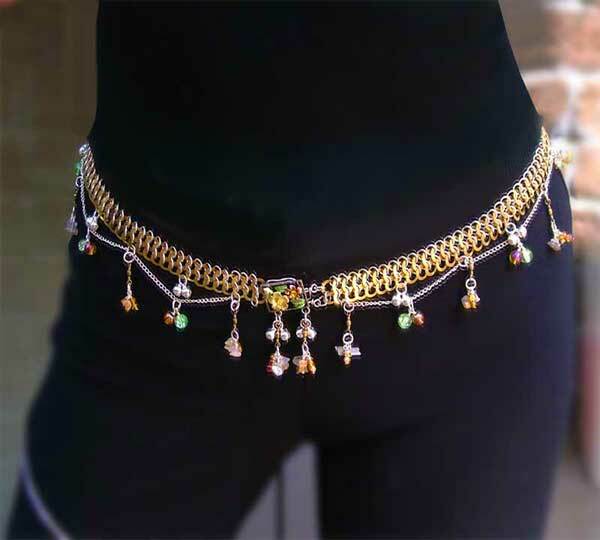 This is a hipster belt with a lot of life and movement and sound! It is perfect to go sashaying around and for an exuberant jig around the dance floor - which my best friend has been known to do. Frequently. Approximate diameter: 82cm/ 32 inches. 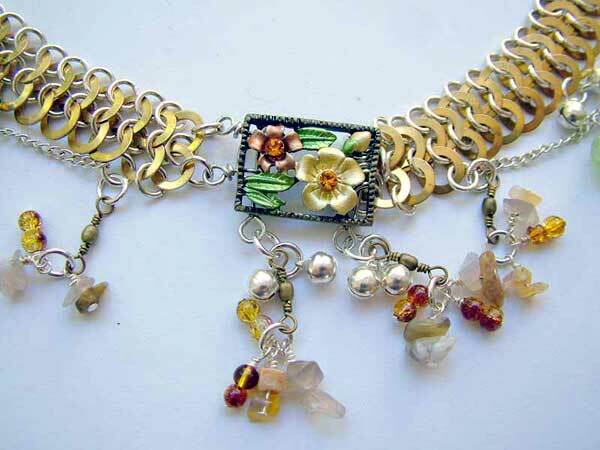 This was made in a European 4in1 chainmaille. 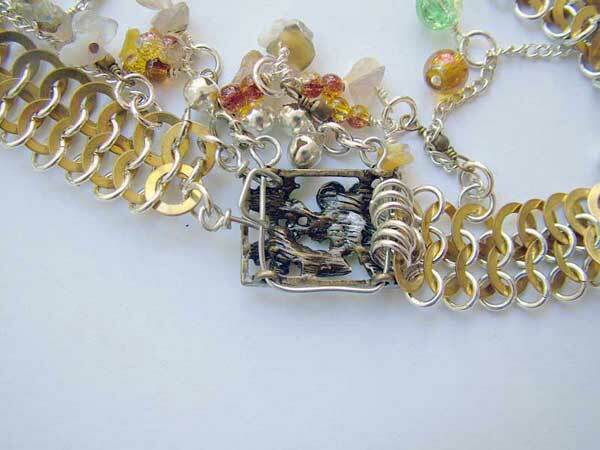 The top of the chain maille band is secured with more jumprings. This ensures that it will not fold over as Euro 4in1 is apt to do. 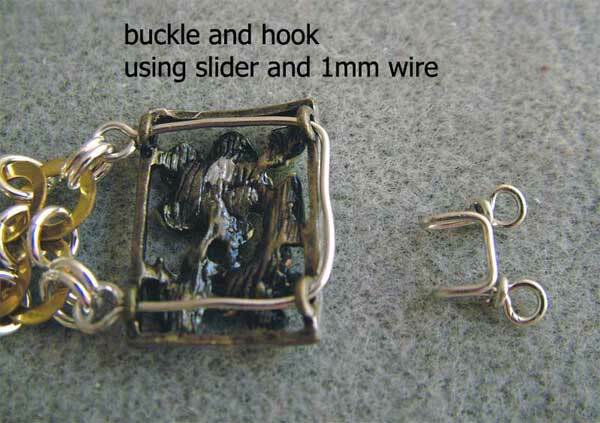 The buckle is made with one of my floral slide/connectors. The wire work is not as neat as I would have liked it. (At that stage, I had done virtually no wire work and getting it perfectly straight with sharp corners was virtually beyond me at the time). Still, for a first attempt and functionality wise, I think it did turn out better than I could have expected. Approximate evaluation of the length of the belt to how many chain-loops I could have. 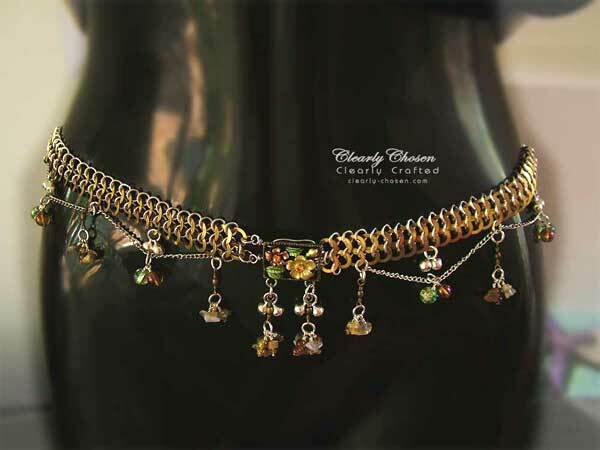 From there, it was just a matter of attaching the chain-loops and the dangles that went with it. This below is the front - looking quite presentable. This below shows the back of the buckle - needing more expertise and work for future belts.